Southampton Pre-Match. Expected team. Lucas Perez? Our 4th home game in an unbeaten November, can we finish with a win? Back in September we beat Forest 4-0 on a very enjoyable evening, the mixture of youth and experience delivered top entertainment. A repeat would be great. But Southampton have real quality amongst their youth set-up, it has been so for almost a decade. How they do it is a mystery – Theo, Ox, Chambers, Lallana, Clyne, Luke Shaw, Bale etc etc. That said, there are few clubs who have brought through as many youth team players as Arsenal, and the Notts Forest game introduced us to a couple more: Jeff, Akpom and Maitland-Jones started the game with Willok, Bielik and Zelalem coming on as subs. There are more in the pipeline. Tonight may be a golden opportunity for Lucas to show why we paid big money for what (IMO) is a Welbeck substitute. there is a rumour he could play. His name is Lucas Perez Martinez, why isn’t he known as Martinez? Why was he Perez when we signed him and now is called Lucas? Perhaps it is because of Emiliano? The most likely starters are those who did not play on Sunday and are likely to ride the pine at The London Olympic Stadium. In an ideal world this would be an opportunity to give Jenkinson a few minutes, the elevation of Debuchy to the first team must have damaged The Corporal’s confidence; he is a sure starter at West Ham and we cannot risk him. For those lucky enough to be going, enjoy the game. For us screen watchers the game is not being shown on UK TV, streams are few and far between (unless you live in Africa). Some links pre-game would be helpful. A semi-Final against Hull (we can hope!) would be great. Eddie Howe, Arsenal’s next manager? Well that feels better doesn’t it, back to winning ways, the sweet smell of victory. When Arsenal win angels soar, birds sing and spuds groan, all the ingredients that make for a good start to any week. I know it was only Bournemouth and I might be going a bit over the top but it feels like quite a while since I had this feeling and what with spuds losing their unbeaten status and us moving ahead of them in the league I think there is plenty to be happy about and I am going to milk it. Three – one was about the right score, we made hard work of it as we are all too often prone to do against this kind of opposition even though collectively, talent wise, we are head and shoulders better and that is the way things appeared shortly after the game got under way. Oxlaide-Chamberlain getting sharper and sharper with every game was carving them open down the left flank but unfortunately his incisions came to nothing until in the spirit of the Christmas season Bournemouth handed us an early present by gifting the ball to Sanchez who calmly fired the ball low and hard past the helpless goalkeeper. One – nil and all was going to plan, Bournemouth would be forced to come out in an attempt to score which would create the perfect situation for the speedy skills of Walcott on the right flank and Chamberlain on the left, what could go wrong? What went wrong was probably the most unexpected of scenarios: Debuchy got injured, well I don’t mean that was a surprise what was a surprise was how the simple addition of Gabriel seemed to completely knock us off our stride and shortly after with a reciprocal sense of seasonal giving we handed them a way back in the form of a clumsy challenge on one of their chaps which was deemed a penalty. It looked a fairly clear pen to me but I have read others who felt it was harsh; this hardly matters now as the fact is that it was converted to bring Bournemouth back on terms. Arsenal continued in this giving spirit handing them opportunity after opportunity but all were declined. Half time came and went and although we started the second half better and the switch of Gabriel and Debuchy became an insignificance the problem was while the score remained 1-1 there was always that nagging worry that we may be looking at yet another November draw. Both bad Theo and good Theo were on display today. The game was live on telly and everyone reading this saw the game. Walcott’s close control is poor to say the least, however, before people start running to his rescue he did, of course, score the all important second goal, what can I say; sigh, we are going to be stuck with him for even longer. Going a goal behind sent Bournemouth out on the attack again and they had a few good chances but our defence stayed calm with Koscielny and Mustafi putting in a title winning shift before Wenger brought on Giroud and Ramsey and their fresh legs tipped the balance completely back in our favour with the French Lumber Sexual gaining a fantastic assist, allowing Sanchez to get his second and put the game to bed. Sanchez was man of the match, people worry about the accidental loss of Özil but the real doomsday scenario is the loss of Sanchez. Back to Bournemouth and Eddie Howe, I have been watching how he has been handling Wilshere and his reintroduction from injury has been impressive, first 30 minutes as a sub then 45 from the start, then 50 then 60 until now he is able to play the full 90. Simple perhaps but you have to do it and you have to make it work and getting Wilshere to work could be the difference of that club staying up this season and not. It was quite a coup just getting him but to get him firing on all cylinders and remaining in the EPL will be an impressive achievement. And on the subject of staying up let me ask a question: how many people think that Bournemouth will be able to stay in the league for the next three seasons? Or let me put it a different way, what are the chances of them staying up for the next three seasons? My answer would be very slim. Why ask about the number three, well there is a reason: Wenger is in the last year of his contract but all the smart money is on him extending another two years which means, including this one, he will be at the club for another three seasons. So what I wonder is: would there be the same clamour for Eddie Howe to come and join us at the home of football if he were the one in charge of a relegated team? Giroud to continue his scoring run. Walcott needs to get back to early season form. B’mouth only one away game since February without conceding a goal. This may be the most interesting and glamorous game so far this season, with both teams guaranteed entry to the next round attacking football is assured. Beat them and we win the group, draw and we (can) win the group. We have to be favourites despite being outplayed in the away fixture with Ospina winning MotM. Had Cavani played to his normal standard we would have been hammered, but he didn’t and we weren’t. Thanks to the quality of our squad we have question marks over the team selection. The media focus is upon who plays CF and whether Ramsey will start. Some Gooners will be hoping for Xhaka to start ahead of Elneny especially after our lacklustre display at the weekend. Given Theo has a “tweak” will Ox start on the right? Will Iwobi return? 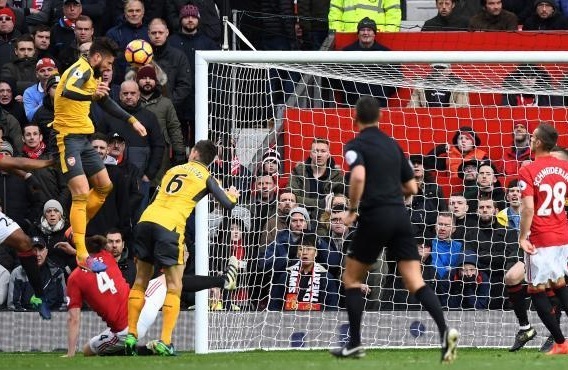 I am hoping that Xhaka will try some long distance shots as this is something we have been lacking in recent weeks. Sanchez needs a rest and will be on the bench as supersub, as will Ramsey and Ox. If we draw the our performance in Basle becomes more significant, if we win or lose, it doesn’t. Unlike many I give little credence to the importance of finishing first or second, all the teams in the final 16 are very good. It will be a cloudy, windy night with some showers, a win will see us Walking in Sunshine . Dear, oh dear, Monsieur Wenger! What an utter and unmitigated disaster! Truth be told, this loyal Gooner has been very patient. 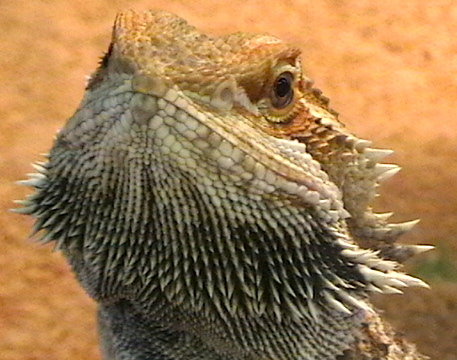 Bearded, cantankerous and grumpy he may be, but very patient. Well, until now. But ultimately, the limits have been breached, and sadly, a spade has to be called a spade!! I am truly outraged. Since the past quarter century or so, we fans have been promised the holy grail of European glory. The lottery ticket has been duly procured every year, only for us to stumble at some or other hurdle. Admittedly, the lottery ticket itself is somewhat valuable, particularly for the countless numpties populating the English League that have not managed to procure a ticket consistently for such a long time. Still, this is no better than a fourth place trophy, really! Such a disaster! At the same time, the predictable same old stories have continued. Lack of activity in the transfer market, tiring European group stage adventures affecting our chances in the League itself, together with an injury-plagued lion’s share of the season, all contributing towards no better than fourth place trophy! Such a disgrace indeed! Imagine my joy last season when the so-called pundits and realist doomers proclaimed, finally, that we were not good enough for fourth spot. Finally there was light at the end of the tunnel, a chance to turn our back on Champions League and overturn the permanent saga of fatigue and injury. Finally, then, there would be a chance to win the League this year. In the event, this turned out a blank promise! The light came from an oncoming train that would run us over! Useless doomers! No fourth place trophy, but instead second place! Pray, what good was that! Same old, same old! Such a disaster! This year, the realists and pundits were at it again. Predictions of doom were duly proclaimed, and gullible me, I even believed them. Finally, we were destined for the lower half of the table. Perfect for a good shot at the title next year; or so it seemed! Particularly, come November, and surely the good guys and their classy manager are going to vanish off into oblivion. But, as usual, M. Venga had to spoil it all. Take the trip to Old Toilet, for example. It started off nicely, leaving our most productive striker on the bench and inviting our other tall Frenchman to leave his defensive role to populate the ManUre box. Oh, how one would have wished a quick counterattack to then leave us exposed at the back and jettison us out of the top four. That would be a good start. But the wily cruel Venga had to spoil it all. Who asked him to bring EFF (Everyone’s Favourite Frenchman, courtesy chas) on for a final few minutes, against the best advice of the doomers. And then the inevitable happened. The EFF just spoiled all the fun with yet another last minute goal. How cruel! And such blatant favouritism towards the French. Sadly, we still remain in touch with the leaders. This way we will continue to remain in contention well into the new year. Such a disgrace! Why, oh why? When can we have the pleasure of a lower half finish for a change? With nothing to focus on except the following season’s league triumph, which will no doubt automatically follow. Alas! All that we fans can do is remain in hope. 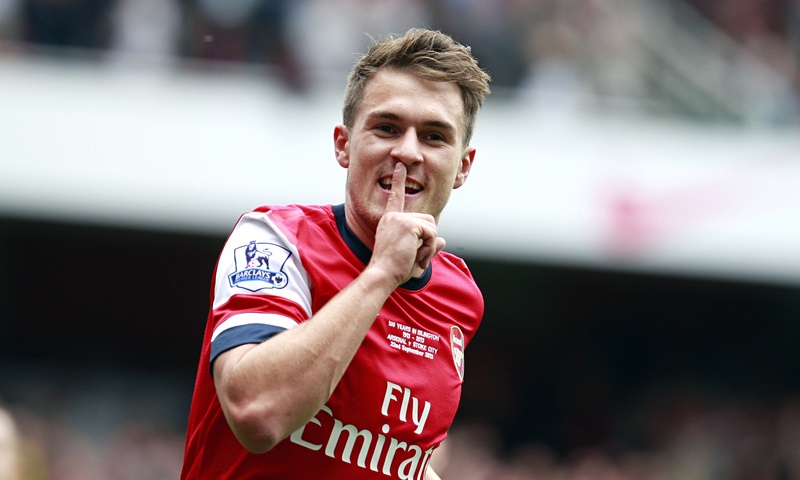 Totally disagree with the Ramsey criticism. Playing the Welshman on the left wing is not ideal, of course, but are people’s memories really so short that they cannot remember how nervous Iwobi was in recent games? The international break does drag on I suppose but surely we can swim round the bowl at least once and retain some of the previous game? Iwobi’s confidence was shot, it was generally acknowledged that he needed a break and that is what he got and rightly so in my opinion. Iwobi offers nothing defensively, Ramsey doesn’t offer that much but he certainly offers more and furthermore having him on the field meant that he could fire fight; that’s to say, that he could be deployed anywhere that needed an extra hand. He was also able to be played in his second best position when needed which is deep-laying midfield, picking the ball up from the back and driving the attack forward. Wenger made this switch on Saturday as happens every single time that Ramsey plays on the wing which is usually wide right, it is a game plan, otherwise known as plan A. It didn’t work as Wenger hoped so he reverted to plan B which clearly got us out of jail. For those who have bothered reading this far you might have noticed that I said “second best position” his first choice is Ozil’s and that obviously isn’t going to change unless his German Greatness gets an injury. Being an Arsenal supporter I understand the need to scapegoat one player, it is in our DNA and I am no different — Walcott, Walcott — Why? Theo seems to have improved but when you look at it; or at least when I look at it, it becomes clear that he has only preformed better against lesser teams because when it has came to crunch time which has been the case against spuds and manu he has underperformed. During both games Theo had slightly less time when he got the ball and due to his poor close control he repeatedly lost possession and this impacts on Ozil and Sanchez’s effectiveness. You can see them both thinking when they have the ball, shall we pass to Walcott who they know will more often than not lose it or if he does control it he doesn’t have the skill set to be able to return it to either of those two; so instead, both Özil and Sanchez have to look for each other which makes it easier for defenses to defend against us; that’s to say, it is easier because it is like only having two men up front instead of three. We were playing with ten men on Saturday and the problem is not Ramsey it is Walcott: Perez cannot come back quick enough for me.